We just updated our events calendar to include some noew events in Dresden, Erfurt and Bad Honnef. All three events will be in March and we will be happy to see you there. The listing of our experiments has changed. When you click the experiments link above, you will find a database of experiments, which you can filter by information and media available for each experiment. As additional news, we now also feature worksheets for school. Unfortunately, so far these are only in German. If you have developed a worksheet yourself (in any language), we are happy to include it into our database. The only requirement is, that you apply a Creative Commons licence which allows to distribute the worksheet this way and note this on the worksheet. Just send any material to us via email. 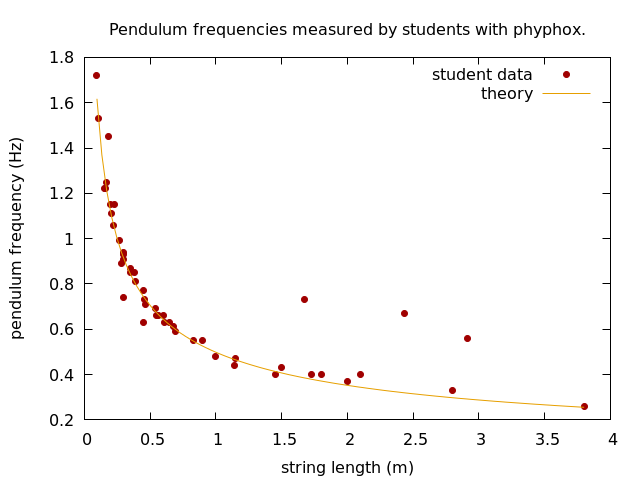 I just had to clean out some obvious cases in which students did not use the correct units (no, they did not build a 69m pendulum). One of our users, Christian, wondered about the centripetal (or centrifugal, depending on your reference system) force in his honey separator. He basically has got a centrifuge for his honeycombs which extracts the honey using this force, but unlike our experiment using a salad spinner, he was unable to measure the acceleration directly because it exceeds the range of the sensors in his smartphone. 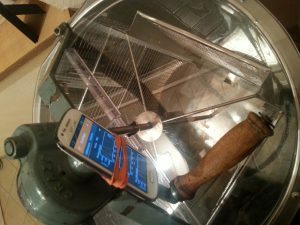 So, instead he attached his phone to the crank of the centrifuge and created his own phyphox experiment, which uses the gyroscope to determine the rotation speed of the crank. From this, his experiment then derives the speed of the centrifuge itself and all the forces involved, taking into account the transmission of the crank as well as the radius at which the honeycombs are placed within the centrifuge. 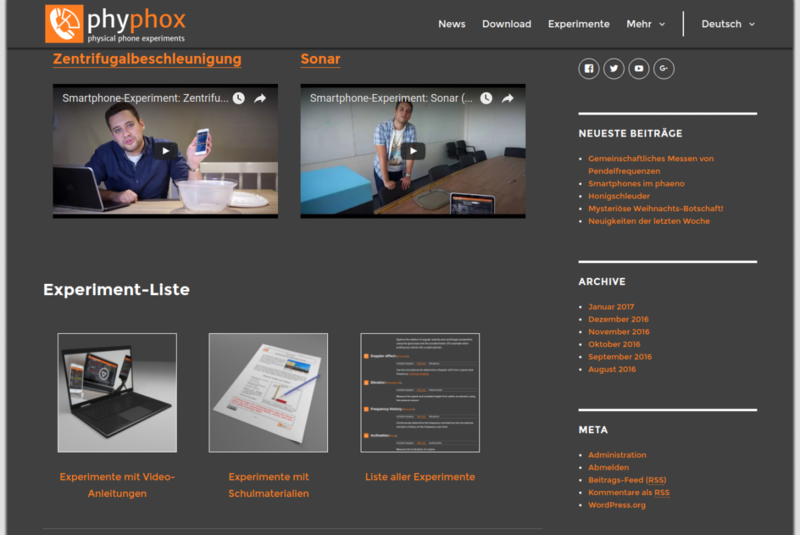 If you are interested in this, here is a link to directly open his exeriment in phyphox and a link to download his phyphox file defining the experiment. Thanks to Christian for sharing this unusual application with us.